Keeping sound at church consistent from week-to-week is tough. There are tons of variables that change every week – even temperature and humidity affect live sound. With everything changing, how do we maintain a consistent experience for the listener? First, you must make peace with the fact that there will be variations. There is no way to make two different services sound exactly the same. Instead of trying to keep sound exactly the same, work towards creating a consistent listening experience. Define the ‘listening experience’ for your church. The listening experience differs from church to church. Some like it loud, others don’t. Some like to feel the bass, others don’t. Do you want the room to feel full of sound or do you want to leave space? Should the listener be able to hear their own singing voice or do you want an environment where those who can’t sing don’t have to worry about being heard? Do you want to feel low frequencies or should there just be enough to fill the sound spectrum? Appoint one person as your Chief Ear Tech (CET). Yes…I made up this title, but to make a point. There should be one person in your church who is responsible for executing your defined listening experience. This could be the lead sound tech, worship leader or someone else. Whoever it is, their job is simply to listen to the mix and make sure it aligns with your church’s defined listening experience. If there is a disagreement on how something should sound, the decision should default to the Chief Ear Tech. Although the CET should be willing to listen to the opinions of others, the decision ultimately rests on their shoulders. If you struggle with too many opinions about church sound, check out this post. Define a standard for each song. Of course, sound techs need to take time to listen to these recordings before each service. They should train their ear to pick out what each specific instrument is doing. 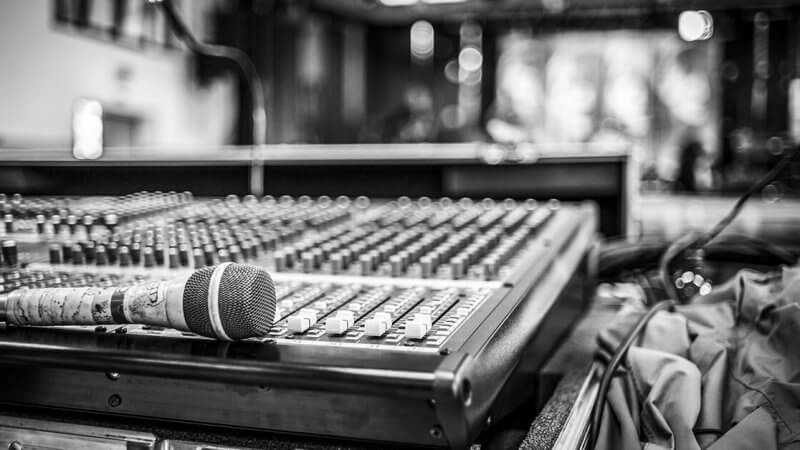 Your instrumentalists may or may not play exactly what is on the recording, but at least every sound tech will be following the same guideline. Check gain at the beginning of every rehearsal. Properly setting gain is foundational to great sound. At the same time, if gain is not properly understood or monitored, it can wreak havoc on your effort to create a great listing experience for not only the congregation, but the band as well. Develop a standard for setting gain and then check it at the beginning of every rehearsal – especially on guitars. There’s a good chance their amp settings are not exactly in the same place as last time. For help with gain, check out this post. Build your mix from the ground up. When all else fails, pull all your faders down and build the mix from the ground up. This may sound scary to some, but you may even find it is the best way to start every rehearsal. You should never be afraid to make adjustments to faders. I have seen many sound techs paralyzed by fear, only making tiny adjustments to faders in fear of messing up the mix. The best way to get rid of this fear is to pull all those suckers down and build a mix from the ground up. This is also a great way to learn and practice where each instrument fits in the mix. Now that you have a few tips for creating a consistent listening experience, I thought you might also enjoy a guide for successful sound checks. We struggle with this. Several of our techs run BG vocals way too soft for my “CET” ears. Not enough high hat, bass not right. It’s all subtle things but things I notice make a huge difference. The problem is how to let them know and correct it. I’ve tried trying to give feedback but I don’t want to be negative all the time and honestly I don’t know if they can sometimes hear the difference. The one thing I want to do is record a session and then have us all sit around and play it back, mixing it the way we each hear best and then comparing, but that takes a lot of time and it’s hard to get everyone together. I just wish there was a way to A/B my ideal mix and theirs easily to let them hear the difference and what I want.